Nepal has given birth to many people with outstanding talent. We are always indebted to them for what they have done for the country. For the same they are recognized as national figures (Rastriya Bibhuti) of Nepal. The contributions of our eminent national personalities standing to their credit are briefly described in the following paragraph. He was an ascetic king of Mithila, present day Janakpur. He was the staunch follower of Bramha. He believed in the existence of the soul and attached little importance to the body. So he liked to call himself 'Bideha' (One without body or deha). Many of the eminent learnt people like Gargi, Maitreyi and others used to visit his palace to discuss the topics of religions in the meeting, attended by saints and sages. He developed Mithila at the center of intellectual discourses. It is due to his contribution that Nepal could get international recognition in the world classics. King Janak's daughter Sita or Janaki was personally endowed with strong divine powers. Legend is that she used to lift up a heavy weight of 'Shivadhanu' (Bow) with little efforts to the surprise of many strong and stout kings and princes, while cleaning the floor with holy water. She was married to Ram Chandra, the eldest son of Dasarath, King of Ayodhya. Ram defeated all his rival princes taking part in the bow lifting competition arranged by her father Janak who had given his words to give Sita in marriage to any of the princes, who could lift the bow. Sita is always remembered for her ideal as a devout and faithful woman. Associate with Ram, Sita is worshiped as a goddess by Hindus. Gautam Buddha, originally Siddhartha Gautam was born in 563 BC in Lumbini. In the pursuit of the mystery of the world's sorrow and suffering, he left his royal luxuries, beautiful wife and a young son, everything earthly. After long meditation exercised by him with much of hardship, he concluded that the truth of life is peace. Justice and non-violence which he pursued and taught to the people had the impact on the world over and he became the apostle of peace in the world. His teachings later took the form of Buddhism, one among world's major religions. This Buddha, enlightened one, is rightly called the light of Asia. He died at Kushinagar, India at the age of 80. He became king because of his extraordinary genius after King Shivadeva's death. He was not only a successful king but also a learned person with excellent knowledge of Sanskrit. His book entitled 'Sabda Vidhya' brought him a good name. As a lover of architecture, he built a 7-storied palace Kailashkut Bhawan. The non-aligned Foreign policy of equidistant friendship maintained with two giant neighbors by Amshuverma is still the basis of Nepal's diplomatic relations. He made a lot of reforms in his country, as the result of which the days of his regime were reckoned as the days of the golden period in the history of Nepal. King Ram Shah of Gorkha was best known for the reforms he introduced in his state in socio-economic, legal and religious fronts. Trade relations, forest conservation and judicial reformations were important. Under a treaty concluded with Siddhi Narsingh Malla, the king of Patan, Ram Shah invited a herd of traders to settle at Pokharithok of Gorkha. A new system of measurements was introduced by him to improve the trade in his state. He managed so efficient system of justice that the saying 'Nyaya napae gorkha janu' (If you are deprived of justice, go to gorkha) became popular. Endowed with good vision, Prithivi Narayan Shah was an able ruler of his state. He was anxious for the security of the then scattered kingdoms of Nepal which were likely to go in the hand of foreign aggressors. He thus grew an ambition to unify them into greater sovereign Nepal which could be strong enough to defend itself. He turned this dream into reality when he extended his territory up to Tista in the east through his unification campaign. He became sovereign king of modern Nepal created by him. He is rightly called the founder of modern Nepal. Nepal was proud of Araniko, a great architect of the country. So he was given the name 'Balabahu'. He built many temples in Nepal and outside. At the age of 27, towards 1261 AD he went to china as an invitee of the emperor Kublai Khan during the time of Jay Bhima Dev Malla. A team of 80 artists had accompanied him. He constructed a pagoda type of Silver Chaitya in the Chinese capital Beijing and Golden Chaitya in Tibet. He was honored with the title of 'Minghoi' (great talent) by the Chinese government. Amar Singh Thapa, stubborn in nature fought bravely with the British East India Company of India during 1814-16 AD war. It was he who extended the boundary of the western Nepal up to Kangada and the Ravi River. Ammar Singh had fought during the unification of the Baise and Chaubise states. When Nepal chose to sign the Sungauli Treaty, he became highly distressed and went to gosainkunda where he lived until his death. Bhimsen Thapa, known as the first prime minister of Nepal, was a good administrator and a brave warrior. He was deadly against the British imperialism. In the battle fought against the British, he cracked down the British soldiers to the surprise of the enemies. He brought about many reforms in his regime in the social, economic and military fields. In spite of the efforts of his opponents to harm him, he earned a good name for his love of nationalism. Bhanubhakta Acharya, born to a family of Tanahun district was a gem of Nepal. He drew up with a pen that made him a poet of extraordinary talent and sharp insight. He translated a hindu epic, Ramayan into lucid common Nepali language in a poetry form. Bhanubhakta is compared with an English poet Geoffrey Chaucer. He has the same name for his masterpiece Ramayan in our literature, as Chaucer has for his works in the English literature. Thus, he became the pioneer poet of Nepal. Motiram Bhatta was a famous youth poet. Through his poems, he conveyed to the people, the message about Bhanubhakta's life and works. 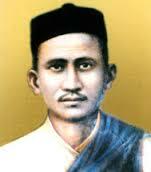 So, much of credit goes to him for enhancing the glory and greatness of Bhanu Bhakta, as a pioneer poet. Without him, Bhanubhakta's contribution would not be revealed and realized. Motiram Bhatta died at the young age of 30. King Tribhuwan won the hearts of the Nepalese people by playing the key role in the movement launched in Nepal for democracy. As a member of the Praja Parishad, he joined the people's revolt against the tyrannical regime of Ranas and left his palace at the risk of life. Following the tripartite 'Delhi Compromise' convened by himself, the Nepali congress and Rana delagates, democracy set in on 7th falgun 2007 BS. Shankhadhar Sakhwa is one from common Nepali citizen to get a national recognition posthumously. Though not fully accepted, records say that he was a lower caste Newar merchant who traced on gold. 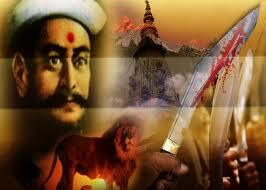 He freed the locals of Kathmandu by clearing their debts during the rule of King Raghav Dev. In 936 BS he started the Nepal Era in order to commemorate the incident. Pasang Lhamu Sherpa climbed Mt. Everest on 10th Baishakh 2050 BS. She was buried by the avalanche as she was coming back from the summit and lost her life. still she is a source of inspiration for all Nepalese women for their courage to rise from their level and perform adventurous activities to glorify the nation. Falgunanda was born of Limbu parents in 1942 in Ilam. As he grew older and became thoughtful, he began to think that reforms were necessary for his culture. On 24 Baishakh, 1988 BS, he organized a huge Kirant Chumling (Assembly) and adopted a seven-point 'Satya Dharma Muchulka' (report paper). He implemented rules and policies such as establishing a temple and school in every village, educating Kirant community, treating sons and daughters equally. Because of great knowledge, teaching and leadership and changes, he began to be known as Mahaguru (great teacher). King Janak developed Mithila at the center of intellectual discourses. Sita is always remembered for her ideal as a devout and faithful woman. Gautam Buddha, originally Siddhartha Gautam was born in 563 BC in Lumbini. Amshuverma made a lot of reforms in his country, as the result of which the days of his regime were reckoned as the days of the golden period in the history of Nepal. King Ram Shah of Gorkha was best known for the reforms he introduced in his state in socio-economic, legal and religious fronts. King Prithvi Narayan Shah is rightly called the founder of modern Nepal. Nepal was proud of Araniko, a great architect of the country. So he was given the name 'Balabahu'. 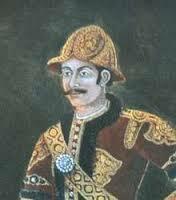 Amarsingh Thapa, stubborn in nature fought bravely with the British East India Company of India during 1814-16 AD war. Bhimsen Thapa, known as the first prime minister of Nepal, was a good administrator and a brave warrior. Balbhadra Kunwar, though less equipped, fought very bravely with the strong British forces and could make a successful defence of the fort for a long. 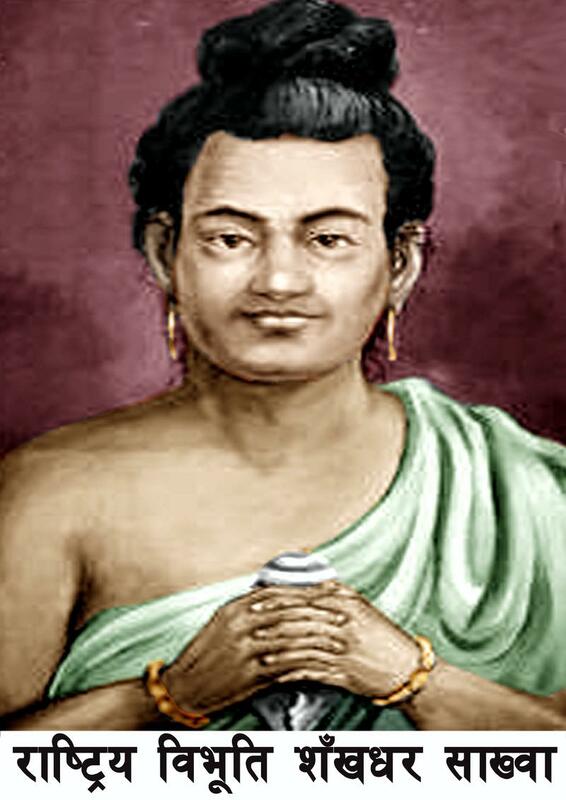 Bhanubhakta Acharya, born to a family of Tanahun district was a gem of Nepal. Motiram Bhatta was a famous youth poet. King Tribhuwan won the hearts of the Nepalese people by playing the key role in the movement launched in Nepal for democracy. Shankhadhar Sakhwa is one from common Nepali citizen to get a national recognition posthumously. Pasang Lhamu Sherpa climbed Mt. Everest on 10th Baishakh 2050 BS. She was buried by the avalanche as she was coming back from the summit and lost her life. Why is Pasang Lhamu Sherpa an important source of inspiration for the Nepalese women? Pasang Lhamu Sherpa an important source of inspiration for the Nepalese women as Nepal is a very male dominant society where women are not encouraged to do extraordinary tasks. Although born in this kind of country, Pasang Lhamu Sherpa climbed the highest peak in the world, being first Nepali woman to do so, making people regret what they said. There were lots of people discouraging her but despite of all the complexions she had a straight eye in her goal and she had confidence that she could achieve her goal. Likewise, Nepali women regardless of all the discouragement and negativity in the society should go ahead to accomplish their goals to make their country proud. Among the 16 eminent national figure of Nepal, which ones contribution do you access more significant for the nation? Write with reasons. According to me among the 16 eminent national figure of Nepal, I think Gautam Buddha contributed more for the nation because in this pursuit of mystery of the worlds sorrow and suffering, he left his royal luxuries, beautiful wife, young son and everything earthly to get enlightened. He taught the people that the truth of life is peace. He pursued justice and non-violence which had impact on the world and he became the apostle of peace in the world. Whose name's do you want to add in the list of the national figures? Why? I would like to add Laxmi Prasad Devkota in the list of national figures because he contributed a lot in the field of literature and poetry. Laxmi Prasad Devkota brought the Sanskrit tradition to its end and by starting a modern romantic movement in the country. He was the first to begin writing epic poems in Nepali literature. Many of his poems focus on mundane elements of the human and the natural world. His poems such as "Ban", "Kisaan", "Baadal" show that he sought his poetic inspiration in the common place and proximal aspects of the world. If you had to introduce two national heroes, in two sentences each, how would you do it? Amshuvarma: He was a famous king of Golden period-Lichhavi. 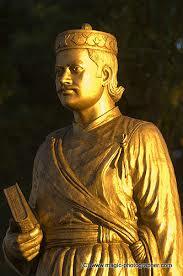 He was good ruler and father of Bhrikuti who ruled over Nepal from Kailashkut Bhawan. Tribhuwan: King Tribhuwan bet the throne, encouraged people to fight against Ranas and brought democracy in Nepal. He was determined to protect the rights of the people, multiparty democracy and hence he is called the father of nation. List out all the names of great people who have recognized as National Heroes of our country. Write a letter to your friend who lives in Australia describing the contribution of three of the national heroes of our country. I hope everything is fine there. I have not heard from you since a long time. However, according to your request, I am writing you to tell you about three national heroes of our country. First, Bhanu Bhakta: He is the first poet of Nepal to write poems and articles in pure Nepali script. He translated the "Ramayana" into Nepali language so that normal Nepali people could read it. He has written many other books and poems also. Bhimshen Thapa: He is one of the greatest warriors of our country. He fought bravely in many battles keeping the sovereignty and independence of our country. During his lifetime as a ruler, he also craved out steps for the development of military in the country. So, his period of rule is considered the golden age in the development of military strength in the country. 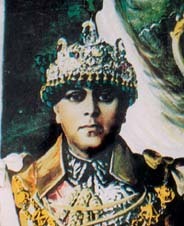 King Tribhuwan: He was the only king of Shah Dynasty who was able to give people freedom from the autocratic Rana rule. He kept his own dignity at stake to provide freedom to the people. That is all about my country. Now I hope to hear about the national heroes of your country, too, so that I could know about your country as well. Hope to hear from you as soon as possible. 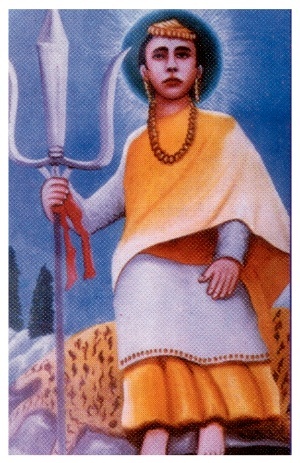 Sita (Janaki) was the daughter of King Janak. She was a wise, beautiful and devoted woman. She was married to prince Ram, the eldest son of Ayodhya. Ramayana, a famous Hindu epic, is the story of Ram and Sita. In Hinduism, Sita stands for pious lady, true devoted of her husband and as an ideal wife. Hindus worship Sita as a goddess, too. Who was the king of Mithila? Who was the daughter of king Janak? When was Gautam Buddha born? Who unified the states of Nepal? Who fought during the unification of the Baise and Chaubise states? Who is known as the light of Asia? Who gave us a unified Nepal strong enough to defend itself from foreign aggression? What is Bhimsen Thapa remembered for? Who is called the founder of modern Nepal? Who was the first Nepali woman to climb Mount Everest? Who constructed a pagoda type of Silver Chaitya in the Chinese capital Beijing and Golden Chaitya in Tibet? Any Questions on 'Our National Heroes and their Contribution '?